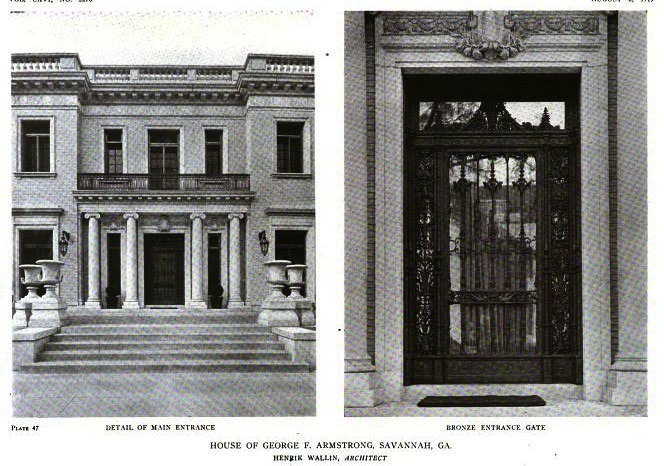 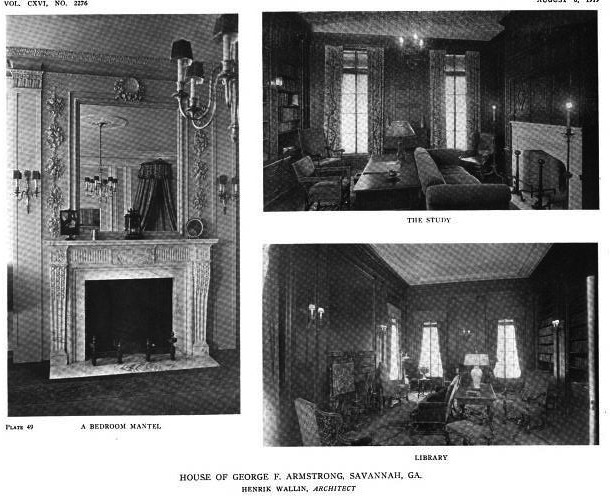 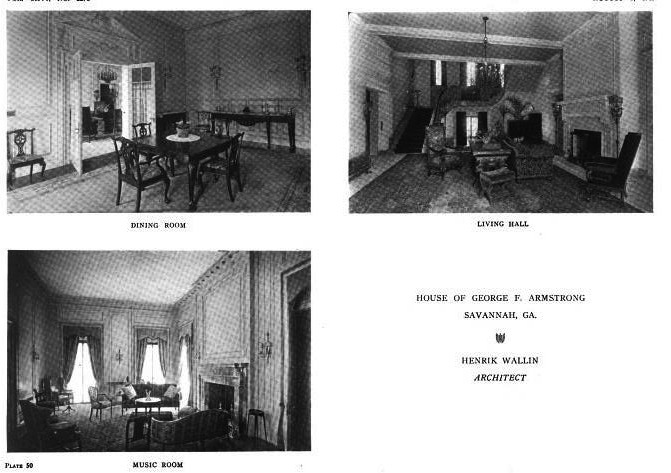 'Armstrong House', the George F. Armstrong estate designed by Henrik Wallin c. 1916 in Savannah, Georgia. 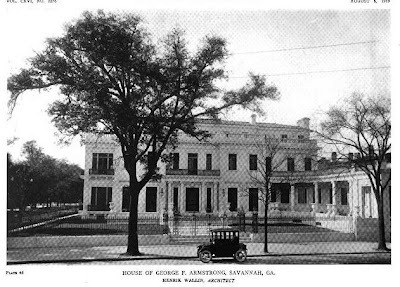 Following Armstrong's death his wife willed the house to become Armstrong Junior College, later Armstrong Atlantic State University. 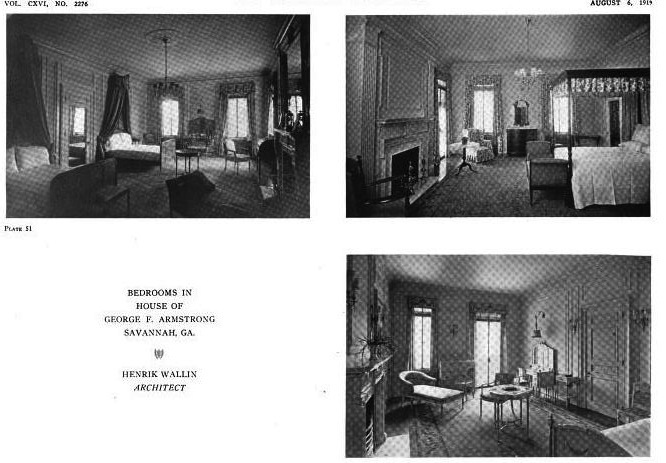 The school eventually outgrew the house which has since become home to Bouhan, Williams & Levy, LLP. Click HERE for more on 'Armstrong House'. 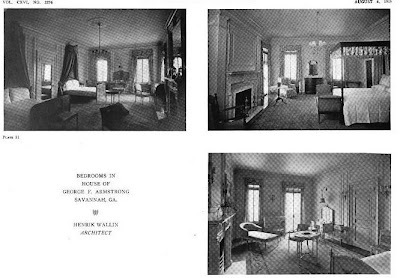 Click HERE to see the residence on google street view and HERE on bing. 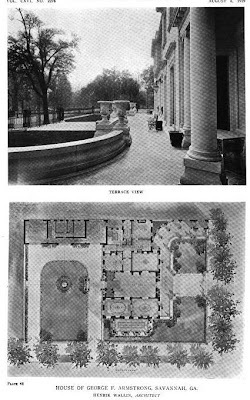 The unusual curving loggia and terminal pavilion make sense seeing the satellite plan view, and how the architecture embraces both Bull Street and the square so effectively. It is a handsome house.